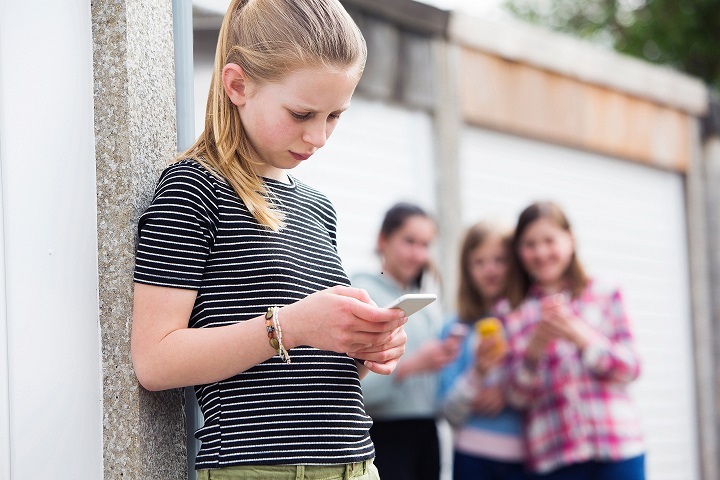 The Bullying and Cyberbullying Scale for Adolescents (BCS-A) is a 26-item (2x13 items) self-report survey tool that measures bullying behaviour, validated for use with young people ages 12-17 years. The BCS-A measures both victimisation (being bullied) and perpetration (bullying others) experiences. The survey also measures different forms of bullying behaviour – those which occur face-to-face as well as those that occur online. The measurement approach has been empirically validated and supports the measurement of four broad forms of bullying behaviour – physical, verbal, relational and cyber (Figure 1). The BCS-A comprises 26 items in total, including two parallel 13 item scales, one each for victimisation and perpetration. The BCS-A can be used to estimate the proportion (%) of youth involved in bullying at three levels – i) overall, ii) by type of involvement (victimisation/perpetration) and iii) by type of behaviour (physical/verbal/relational/cyber). The BCS-A can also be used to calculate mean scores on the victimisation and perpetration scales, as well as the four associated sub-scales. The BCS-A has been validated using two different response style formats – ordinal and ratio. The BCS-A-ordinal uses a categorical response style (‘this did not happen to me’, ‘once or twice’, ‘every few weeks’, ‘about once a week’, or ‘several times a week or more’). The BCS-A-ratio uses a response style that asks about the number of times an event happened (never, 1 time, 2 times, 3 times, 4 times etc.). The ordinal measurement approach may be more straight forward and less demanding for participants to answer, if that is a concern. However, the ratio measurement approach may have greater sensitivity to change which may be a consideration if the scale is being administered to assess change over time.